Are you a sugary soda junkie? If you’re ready to kick the habit, know that the answer isn’t diet sodas. Following up on research that calls the safety of these artificially sweetened drinks into question is a February study published in the journal Stroke that found for women after menopause, drinking more than one diet soda a day was associated with an increased risk for stroke or heart disease. For tasty thirst quenchers, try these easy and better-for-you swaps. Water is great, but if you’re a soda drinker, you want the fizz. So don’t take the bubbles away, but do start with sodium-free sparkling water or seltzer. It hydrates like plain tap water but has the same mouth feel as soda. With this one simple swap, you’ll save hundreds of calories weekly as you trim your sugar cravings and your waistline. Used to the sweet taste of fruity sodas? Rotate among four flavor additions to your sparkling water that give a hint of sweetness along with refreshing aroma: Lemon twist, lime twist, four or five crushed raspberries (fresh or frozen) and vanilla extract. Adding a teaspoon of extract to your seltzer creates a taste similar to old-fashioned cream soda. Are you more of a cola connoisseur? Sugary sodas might give you a lift at first, but then leave you crashing a few hours later. Instead, sip on iced tea made from caffeine-free rooibos (also known as redbush) tea. As a plus, it has lots of antioxidants as well as great taste. Finally, ginger ale fans can make their own calorie-free ginger ale by adding one teaspoon of freshly grated ginger root to 8 ounces of seltzer along with stevia to taste (start with a half-teaspoon and add as needed). Garnish with fresh mint for more pizzazz. With all these tasty drinks, you’ll find it easy to say so long to soda. Consumer Reports has more on diet soda and why limiting consumption is important. 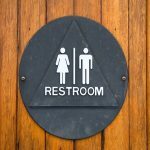 ◀ What Works Best for Women Struggling With a Leaky Bladder?